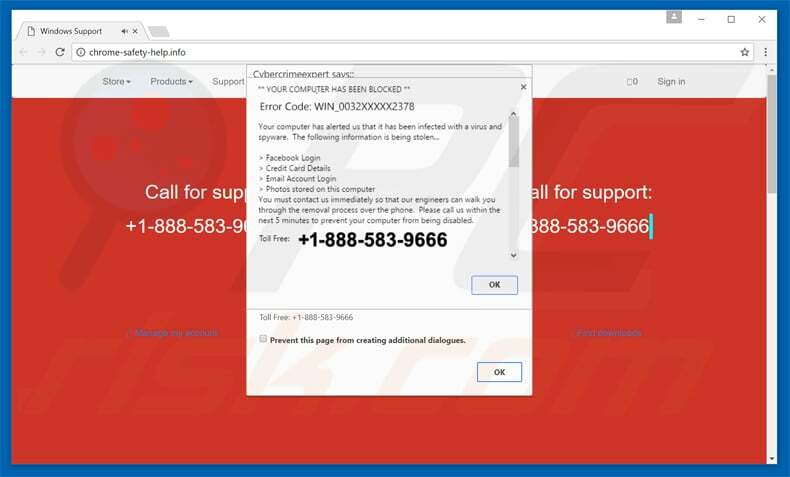 Across the internet, more and more of us are seeing these fake "Call This Number" scams and unfortunately many are falling for them and paying the very crooks who post these 'scareware" advertisements in the first place and even allowing these dirtbags onto their computers. We are out to put an end to this garbage and we have a plan of action and the tools to do it. Let us know if you've run across these Infinite Alert Hoaxes yourself. Do you want to join the fight and be a part of our Anti-spyware Brigade? The fight is on and we'll win this war with your help. 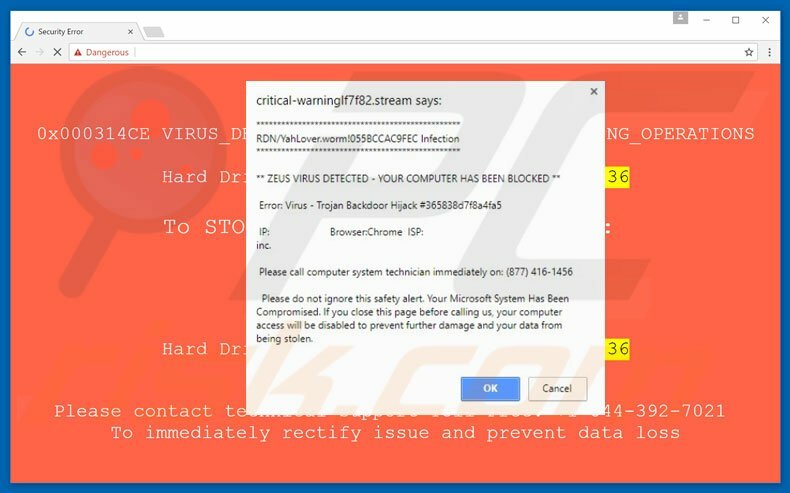 I get one fairly regularly saying it's from Micro$oft..."Warning your computer is infected with a virus! Call the number below...blah, blah, blah." I just close it out by going to the Taskbar and hovering over my browser icon (allows me to see all open pages) and clicking the little red x. And then proceed with my day. Not too worried about viruses OR the warnings since I run PC Matic with Supershield, I know it won't allow anything to execute. I regularly clean .tmp files with TFC and I still run SuperAntispyware to clean tracking cookies. caintry, do you have the PC Matic pop up blocker up and running in Chrome? No. I don't and will not run Chrome. I love Google, but hate Chrome, every time I install it, it tries to take over my PC. Aint going there! How does the browser take over your pc? I've used it exclusively for years now and can't say I've ever heard of a browser taking over a pc. One needs a good popup blocker addon while running a chromium based browser (or a browser that has one built in). 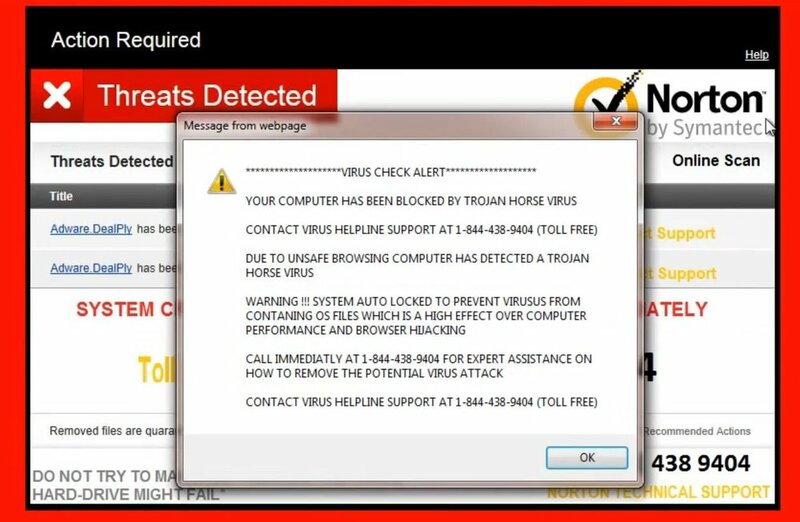 Without that protection the popups and uncontrolled windows can be a nightmare. And that is what the PC Matic adblocker for the Chrome browser does. Not only block ads, but now it it blocking these scam pages from rendering as well. Join the fight and let's win this! We just released our plan of action and appreciate any help that we can get to end these Hoaxes that are polluting the internet. Sure, an add-on to stop all java scripts would work, but having to manipulate the settings to work where you wish to run scripts verses where you don't may prove a bit problematic. If all java scripting is turned off, then there will be certain elements of websites that will no longer function. More experienced computer users may do well with such a utility, but more experienced computer users are less likely to be fooled by these types of hoaxes as well. We'd like to stop this garbage from affecting computer users at any level of experience. To keep them safe and free from these types of scams. As for changing to premium numbers, that would only shoot themselves in the foot. 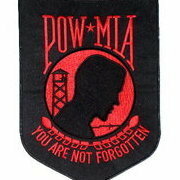 When the caller is informed that they will be charged, whether it is one of our soldiers or a innocent computer user, the chances of them calling at all will be diminished. No calls = no revenue. Yeah but unfortunately I have several sites requiring Java that are very important to me and won't work without it. I only wish I could do so. I get these popups at least twice a week from various web pages. I noticed that the toll free numbers listed on the Infinite Alert Hoax page does not list 1-888-227-3532 or 1-855-873-5650, please add them to that page so others can see them. When I do get one of these popups I can't close by normal means like pressing the X" in the upper right corner of Edge or minimize the page. I right click on the task bar located at the bottom and click the Task Manager, locate the Edge app and end the task. I then reopen Edge and click the option to "close" and tabs and start a new session. Excellent! Now on to all of the others! Well, it's the holiday season and these scammers appear to be working to scam, scam, scam! We are getting several reports that the phone "cold calling" has increased significantly from these dirt bags. 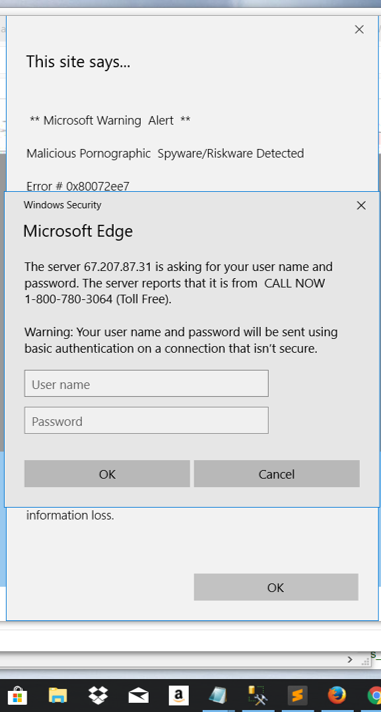 They call and say nonsense like they are from Microsoft security and that they are detecting viruses or that your computer has been compromised and/or hacked and request access to your computer to help. If you don't have the time, then just hang up on them, but if you do have the time, have some fun and keep them on the line as long as you can. As long as they are talking to you, they are not ripping off someone more innocent who does not know any better. Just remember to never let them onto your computer, do not give them any (truthful) personal information and under no circumstances ever trust a single thing that they are saying. They are out for your money, identity, banking information or even to establish an open link to your computer. Have you ever had a call from these scammers? Hrmm, I wonder how this will turn out?